The risks associated with the human factor are recognized as the most important in an organization’s overall information security strategy. In fact, 70% of employees lack the awareness needed to prevent common cyber incidents, according to MediaPRO’s latest Security Awareness Report. This is why CIOs, CISOs, and other corporate executives are growing more concerned about security vulnerabilities and the potential damage to their business’s data, as well as the corporate brand and reputation. 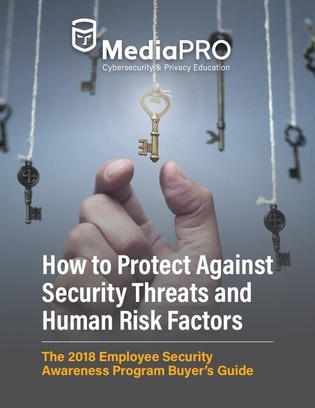 In this buyer’s guide, learn how you can help your organization address the human factor risks that employees pose to a company with a new employee security awareness program, today.